Well, it really turned cold …. for middle Georgia. The temperatures were in the teens last night, according to my thermometer. The predicted 20 degrees was 18 here in my micro-climate. 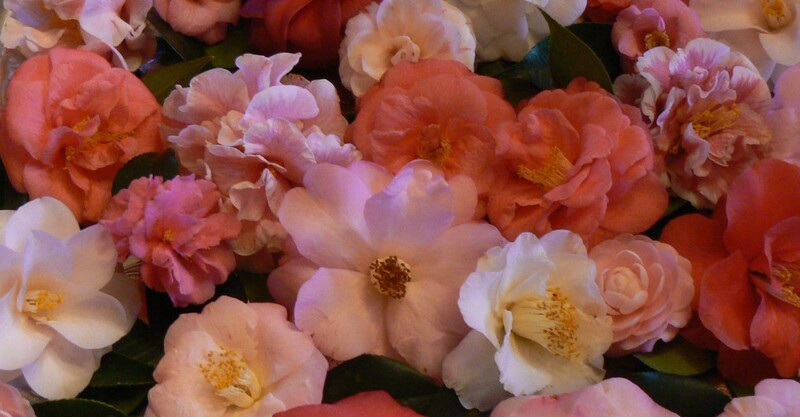 While I dread the camellias that are open, turning to brown mush, above. I am thrilled that the peonies will have the required chill hours to put on a show. See what I mean about mixed emotions? Still, it is better to look at the bright side, I cannot control Mother Nature, (much as I try) and the closed buds for future blooms look perfect….so far. I will be out-of-pocket till the end of this month with little or no access to the internet (YIKES ?!!) So, have a fun January and keep warm. This entry was posted in Camellias, Shade Gardening, winter garden and tagged Camellia, chill hours, frost-kissed, micro climate, peonies. Bookmark the permalink. AS you once said (more or less) about our Southern clime — it you don’t like it for now, just hang around and it’ll change in a heartbeat”. It suddenly turned very cold here, too … 7 degrees when I went to work this morning … but then, it is Maine and winter, so to be expected. I hope your camellias will be OK and that the anticipated peonies (one of my favorite flowers) will surpass your expectations. Happy New Year! You have a good month too. I wish you wonderful peonies and salvaged camellias:). Beautiful when the weather obliges, but chilly now. Ha! Of course you cannot control mother nature. That is an understatement if there ever was one…and something some of us wish we could do often! I can only empathize.